With his usual deadpan delivery and an awareness that it's all mildly preposterous, Hutchinson looks at the things that make you faster - training, nutrition, the right psychology - and explains how they work and how what we know about them changes all the time. He looks at the things that make you slower and why they do so and how attempts to avoid them can result in serious athletes gradually painting themselves into the most peculiar lifestyle corners. 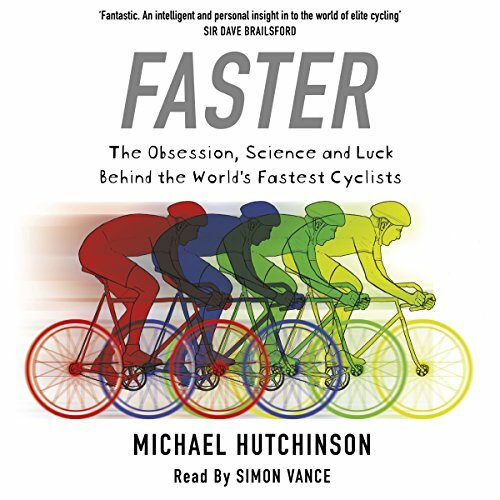 Faster is a book about why cyclists do what they do; about what the riders, their coaches, and the boffins get up to behind the scenes; and about why the whole idea of going faster is such an appealing, universal instinct for all of us. 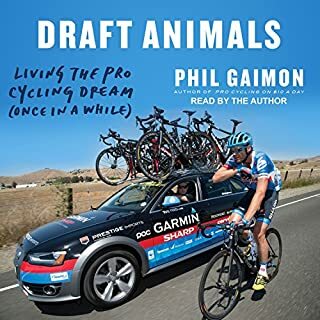 This is a book about the author's personal cycling career mixed with research in the realm of peak sports performance. It has a nerdy component that appeals to people like me who like books like "The Sports Gene", "The Outliers", etc. A nice bit of humor mixed in to make an amusing read for people with interest in sports. A am a triathlete and enjoyed the insights. I am a bit surprised how much I liked this book. He took what could be a dry topic and made it interesting and informative. And he did so with wit and wisdom. 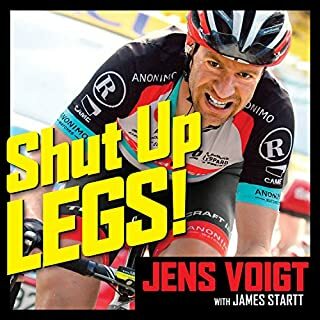 Just about any type of athlete will discover something valuable in this book, but cycling, running, and triathletes will find this read particularly worthwhile. The book is not about specific training plans, but instead provides higher-level insights about muscle types, genetics, aerodynamics, and training. Now that I have finished the book I have to get out of the chair and on the bike so I, too, can be faster. Yes, what cyclist doesn't want tips to go faster? Train smarter not harder. What was one of the most memorable moments of Faster? Ice baths are evil... yippee! Simon Vance was perfect! This book definitely fueled my ongoing quest for speed. Taught me a lot of what I shouldn't be doing as well as what I should be doing. It's peppered with humorous real life accounts and insight into what the biggest teams are doing in their quest for speed. 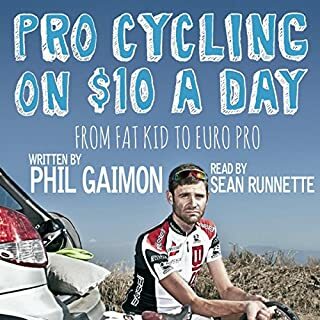 Every cycling book is worth 5's. 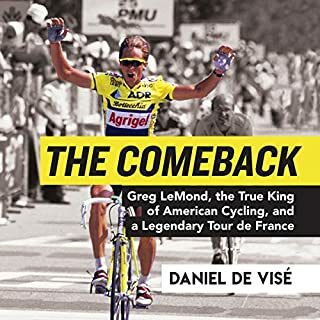 Soon as you finish one book related to the sport of cycling, the question is usually what is next. If just getting in to the sport, this might be a better book for later on. As for a the avid rider or even a little obsessed (me)... this is is a must listen! I have read over 50 sport science type books over the years my first was a rare translation of the east Germany book Rudern circa 1985 and my latest prior to this Joe Friels Fast after 50. This is the only time that I have finish a chapter and re-read because it's delivered insight in a very entertaining way. I was just a bit disappointed Bernard did not get a mention! A superb book. Witty and informative. The narration is ruined by an embarrassing and unconvincing “ Irish “ accent. Dr Hutchinson is an experienced broadcaster and he should have narrated his own book. great book. very witty guy and interesting story. great book. very witty guy and interesting story. could see a follow up in the pipeline. Interesting take on elite training. an interesting and informative view on the obsession behind elite level cycling, but slightly dated. 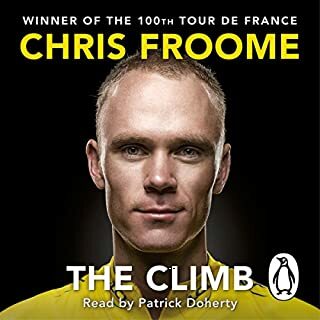 really good listen, not too technical for an audio book listen. e.g not lots of technical to remember. recommended for any bikey!!! A must for anyone interested in the sport. Where does Faster rank among all the audiobooks you’ve listened to so far? I enjoyed every part of this book, very well written and funny. Very informative, funny and entertaining. Well narrated as well. Apparently I need to write at least 15 words...this is filler! very informative and unintentionally humorous in places. been thru it twice and will listen again. Good mix of humour and information. 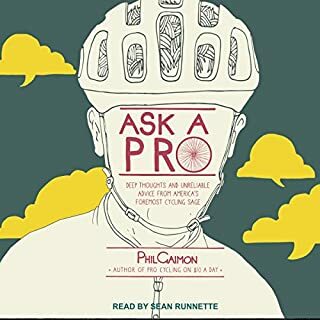 Entertaining and informative to suit cycling anoraks and those with a more passing interest. Quite a broad range of topics covered with some depth in nutrition, physiology and aerodynamics. great listening i loved it, great story. very informative. I will listen to it again soon. Read it ! Right now !!! I've read all the rider autobiographies. This was a purchase that I isn't research or hear about. What an amazing book. If your into coaching or just riding better, this is for you. Easy listening with funny stories !! !